A podcast for showcasing stories, essays, and poems from around the world. João Cerqueira has a PhD in History of Art from the University of Oporto. He is the author of eight books. The Tragedy of Fidel Castro won the USA Best Book Awards 2013, the Beverly Hills Book Awards 2014, the Global EbookAwards 2014, was finalist for the Montaigne Medal 2014 and was considered by ForewordReviews the third best translation published in 2012 in the United States. It is published in six countries. Jesus and Magdalene won the silver medal in the 2015 Latino Book Award. The short story A house in Europe received an honorable mention in the Glimmer Train July 2015 Very Short Fiction Award. A British national, Chris Mingay has lived and worked in Portugal for the last 15 years. A degree in Modern Languages from the University of Birmingham, and a love of foreign culture, especially that of his adoptive home, has led to his involvement in a series of translation and journalistic endeavours. With his own translation agency and working as a freelance journalist for a number of publications, Chris entered the world of literary translation with João Cerqueira’s award-winning The Tragedy of Fidel Castro. This week we're featuring work by two poets. Joe Bisicchia writes of our shared dynamic. An Honorable Mention recipient for the Fernando Rielo XXXII World Prize for Mystical Poetry, his works have appeared in numerous publications. His website is www.JoeBisicchia.com. The former TV host and high school English teacher, now a public affairs executive, lives near the city of Philadelphia where he particularly enjoys writing of human nature through the inspiration of bugs and easily overlooked things. Fabrice Poussin teaches French and English at Shorter University. Author of novels and poetry, his work has appeared in Kestrel, Symposium, The Chimes, and dozens of other magazines. His photography has been published in The Front Porch Review, the San Pedro River Review as well as other publications. Adreyo Sen is currently a PhD student at the University at Albany. He has been published in The Southampton Review, The Little Magazine, Danse Macabre, and Quail Bell. Jonathan is a freelance cartographer who's day-job focusses on creating digital 3D landscape animations. Based in a picturesque seaside town in Scotland, Jonathan enjoys writing both prose and poetry. He also plays mandolin and haunts the local folk-club. Rosemary Harp is a Chicago-based writer of fiction and essays. Her work has appeared in Brain Child Magazine, Hobart, Writing Disorder, and other journals. She is working on her first novel. Her hobbies include raising children and playing ice hockey. Melodie Corrigall is an eclectic Canadian writer whose work has appeared in Foliate Oak, Litro UK, Halfway Down the Stairs, Bethlehem Writers Roundtable, Corner Bar Magazine, Scarlet Leaf Review, Blue Lake Review, Subtle Fiction, Emerald Bolts and The Write Place at the Write Time (www.melodiecorrigall.com). Niall Shepherd is a young, autistic writer, from Preston, England. He uses his work as a means to express himself, and understand others. He often aims to explore themes of manhood and masculinity, adulthood and memory, family and fear. His work tends to be surrealist, making use of abstract imagery and absurdist humour. Ana Vidosavljevic from Serbia currently living in Indonesia. She has her work published or forthcoming in Down in the Dirt (Scar Publications), Literary Yard, RYL (Refresh Your Life), The Caterpillar, The Curlew, Eskimo Pie, Coldnoon, Perspectives, Indiana Voice Journal, The Raven Chronicles, Setu Bilingual Journal, Foliate Oak Literary Magazine, Quail Bell Magazine, Madcap Review, The Bookends Review, Gimmick Press, (mac)ro(mic). She worked on a GIEE 2011 project: Gender and Interdisciplinary Education for Engineers 2011 as a member of the Institute Mihailo Pupin team. She alsoattended the International Conference “Bullying and Abuse of Power” in November, 2010, in Prague, Czech Republic, where she presented her paper: “Cultural intolerance”. Linda Herskovic is a former standup comic, a playwright, an essayist and is currently working on a funny yet touching fictional memoir and two children’s books, both about birds. She is an editor by trade and has appeared in the NY Time Metropolitan Diary section five times. All that and a great personality. This is an excerpt from a larger piece. She would love to hear it on your broadcast. Lazar Trubman is a college professor (linguistics and philology), who immigrated to the United States from a small town in the former USSR in 1990 after experiencing firsthand the hospitality of the Committee of State Security – KGB in common parlance. He taught languages and European literature at several colleges and universities for nearly twenty-two years. In 2017 he settled in North Carolina to dedicate his time to writing. Claudia Hinz graduated from Harvard and received her master’s degree in English from Southern Methodist University. She worked as a broadcast journalist for network affiliates in California, Seattle and Dallas. Her articles, essays, book reviews and fiction have appeared in The Manifest-Station, Brevity, The Boston Globe, International Herald Tribune, 1859 Oregon’s Magazine, Flash Fiction Magazine and Bend Lifestyle Magazine. Her first novel is out on submission with Writers House. This week we're featuring a short story from Jamie Leung. Irving Greenfield is a writer. His work has been published in Amarillo Bay, Runaway Parade, Writing For Tomorrow, eFictionMag and the Stone Hobo; and in Prime Mincer, The Note and Cooweescoowee (3X); and in THE STONE CANOE, electronic edition. He is cited in Wikipedia. He and his wife live on Staten Island. He has been a sailor, soldier and college professor, playwright and novelist. David Woods is a writer and award-winning filmmaker, whose first feature film Till Sunset was released in the USA on Blu-Ray in 2013. His second feature Nightlens is in post production. Four of his six short films have played at international film festivals, with @MovieGeek winning the Award of Distinction at Canada Shorts 2016. His published writing includes poetry in print and on-line and his first short story was published by The Pygmy Giant. He is based in the South East of England. It you'd like to have your work featured on the show, visit www.otherpeoplesflowers.com to see our submission guidelines. This week we're featuring a selection of poetry byt J.J. Steinfeld. Canadian fiction writer, poet, and playwright J. J. Steinfeld lives on Prince Edward Island, where he is patiently waiting for Godot’s arrival and a phone call from Kafka. While waiting, he has published eighteen books, including Would You Hide Me? (Stories, Gaspereau Press, 2003), Misshapenness (Poetry, Ekstasis Editions, 2009), Identity Dreams and Memory Sounds (Poetry, Ekstasis Editions, 2014), Madhouses in Heaven, Castles in Hell (Stories, Ekstasis Editions, 2015), An Unauthorized Biography of Being (Stories, Ekstasis Editions, 2016), and Absurdity, Woe Is Me, Glory Be (Poetry, Guernica Editions, 2017). His short stories and poems have appeared in numerous anthologies and periodicals internationally, and over fifty of his one-act plays and a handful of full-length plays have been performed in Canada and the United States. 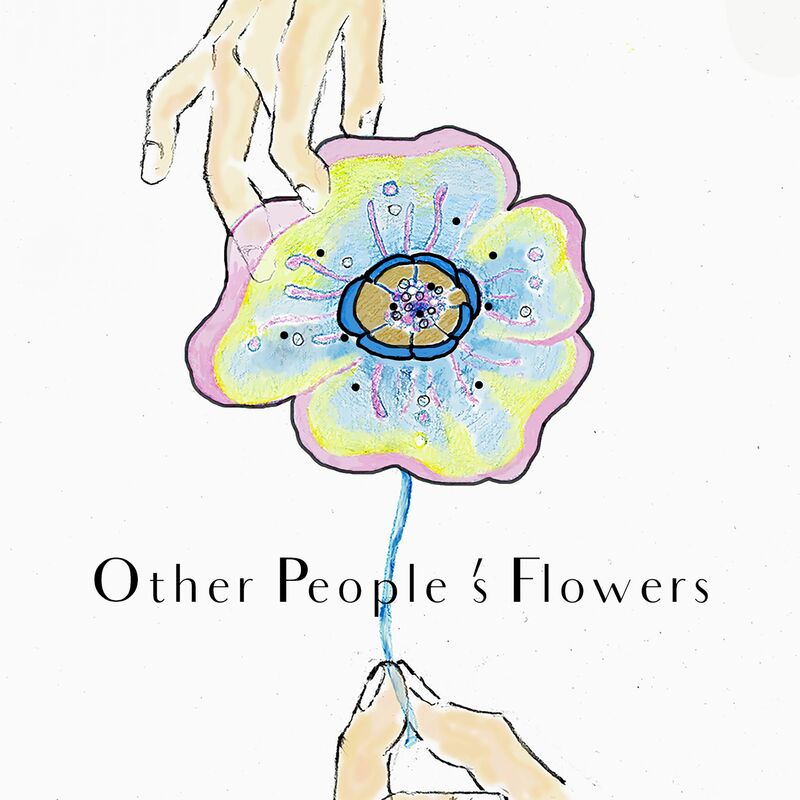 Other People's Flowers is the podcast that showcases short stories, essays, and reportage.